As pets become old, the kidneys slowly lose their ability to work well. Young healthy kidneys contain approximately 1 million individual kidney tubules, each able to process and excrete urea, eliminate excess electrolytes, conserve proteins, and concentrate the urine. With age, many of these tubules are damaged, clogged up, scarred, and become non working and go into retirement. The pet's own immune system will often attack damaged tubules and replace them with a type of scar tissue. Protein molecules, which are too large to be excreted through a young and healthy kidney begin to pass through the less healthy kidneys of older pets. It becomes harder and harder for the kidneys to process and eliminate urea. This is one of the most important functions of the kidney. Another function of the kidneys is to produce a hormone (erythropoietin) that stimulates the bone marrow to produce red blood cells. As the kidneys age, this function is compromised and leads to anemia. Kidney disease tends to be a slow degenerative process that owners and veterinarians alike miss in the early stages of the disease because there are no obvious symptoms and we don't have simple, accurate, or inexpensive urine or blood tests that detect the disease in the early stages. There are often no symptoms of illness until the kidneys are down to about 25% of normal function. As the disease progresses the observant owner will often notice that the pet is drinking and urinating more. This happens as a result of the kidneys attempting to flush out urea and because of the inability to concentrate urine well. We have test kits that detect excessive amounts of protein in the urine at this stage of the disease and routine blood tests that may or may not confirm the disease at this mid stage of the disease. As the disease gets worse, pets start acting sluggish, have poor appetites, often are nauseated, and just don't feel well. Because they are losing protein through the urine, the body takes the protein it needs from the pet's muscles, so in the advanced stages of the disease you will notice weight loss and muscle loss. The cheek bones and spine will become prominent. Your pet will have good days and bad days. Routine blood tests will easily confirm the disease during the advanced stages of kidney disease. Testing is important because your pet will have similar symptoms for other protein wasting diseases such as cancer, hyperthyroidism, bone marrow diseases, and liver disease. In the United States, kidney disease is the number 2 cause of death in old humans. In human medicine, kidney transplants and dialysis are commonly available, but not for pets. For pets, the most important part of managing kidney disease is through therapeutic diets specially designed for kidney disease patients. Note: it's a common mistake to say or think "kidney infection" or "kidney stone" when you really mean bladder infection or bladder stone ... and vice versa ... but it's important to think of these problems as being different .... because they're treated differently. Low in sodium to prevent fluid retention and prevent renal hypertension, have reduced phosphorus to slow the progression of kidney disease. Increased Omega-3 Fatty Acids to improve blood flow to the kidneys. Proteins chosen to minimize urea production, buffering to prevent metabolic acidosis, and increased B vitamins and potassium to compensate for urinary losses associated with kidney disease. Added soluble fiber designed to bind and lower serum urea nitrogen. Studies indicate that kidney disease patients live about 30% longer and with fewer symptoms when fed prescription diets made for treating kidney disease. Omega fatty acids: all of the special diets discussed on this page already have added omega fatty acids. They help with blood flow to the kidneys and may help reduce inflammation and aid in healing. Adding more may or may not be helpful. I vote for more. We have these supplements for both cats and dogs at the clinic. Or you can get an excellent new product on line from VetriScience that combines omega fatty acids with vitamins and herbs designed specifically for renal disease. This product is called RenalEssentials and it's listed lower on this page. Phosphate binders: Phosphorous levels rise with kidney disease which initiates a destructive cycle further reducing kidney functions. All of the recommended renal diets have reduced phosphates to help prevent this problem. But, by adding medications that further reduce serum phosphorus has been shown to improve quality and quantity of life in kidney patients. Phosphate binders come in tablets that your vet may prescribe if blood tests indicate your pet has high phosphorus levels. New on the market is Epakitin which has helped a lot of my patients and has the advantage of tasting good... an important plus especially for cats. 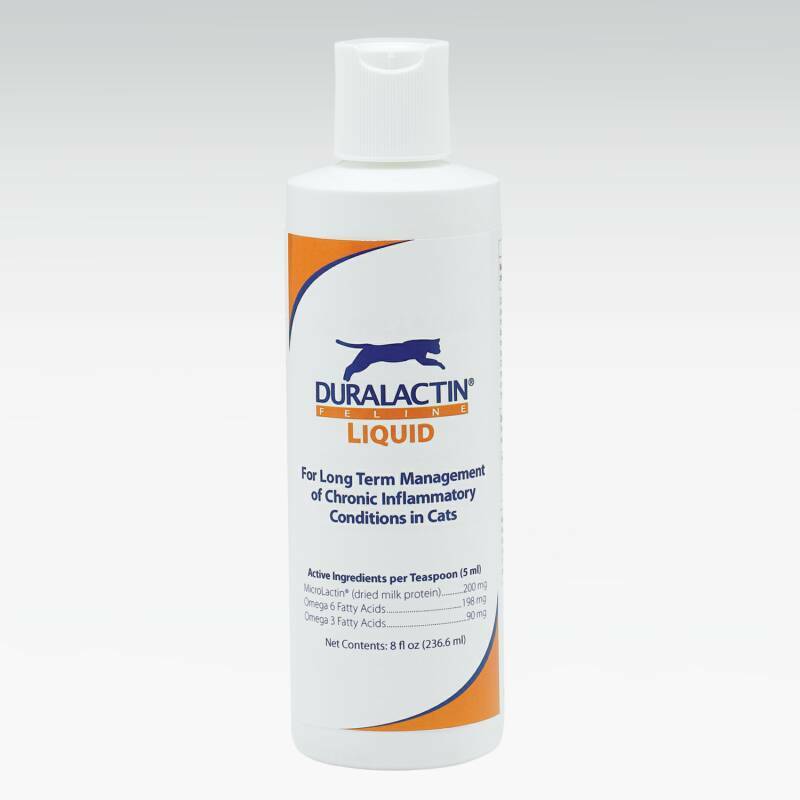 Duralactin: This product combines omega fatty acids with vitamins and reduces inflammation and discomfort. This page is about the diets and supplements we use to make patients with kidney disease feel better and live longer. Kidney diet is also an excellent choice for geriatric patients in general. I’ve written this web site mostly to share my love of my profession … taking care of the medical and behavioral problems of pets. And I was really hoping to somehow raise money to keep our No Kill Pet Shelter running. Our shelter is staffed 100% by volunteers and has been successful at finding homes for 200-300 pets a year that would otherwise be euthanized. 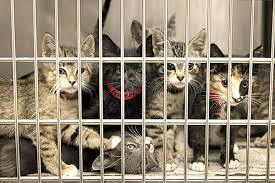 We take pets that are often filthy, full of parasites, suffering from diarrhea or colds or injuries. We clean them up, test and treat for heartworms, intestinal parasites, and leukemia. Our pets are socialized, vaccinated, spayed or castrated, and treated with love and compassion until we can place them in a suitable home. Please help us. Click Here to go to our shelter website that Janet Kowalski keeps up to date. 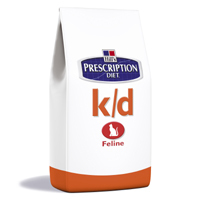 Renal Essentials: a product for cats and dogs made by the VetriScience people. This formula is excellent for patients with kidney disease. Those first 2 active ingredients are omega fatty acids. You can order Renal Essentials less expensively on line than I can stock it at the clinic. You can order it directly from the company that makes it at VeterScience.